Kelly's Directory of 1923 records Kempley as a parish on the confines of Herefordshire, near the high road from Gloucester and Newent through Dymock to Much Marcle, in Herefordshire, 2 miles west from Dymock station on the Gloucester, Ledbury and Worcester branch of the Great Western railway, 6 south-south-west from Ledbury, 4½ north-north-west from Newent and 12½ west-north-west from Gloucester, in the Forest of Dean division of the county, hundred of Botloe, union, petty sessional division and county court district of Newent, rural deanery of North Forest and archdeaconry and diocese of Gloucester. 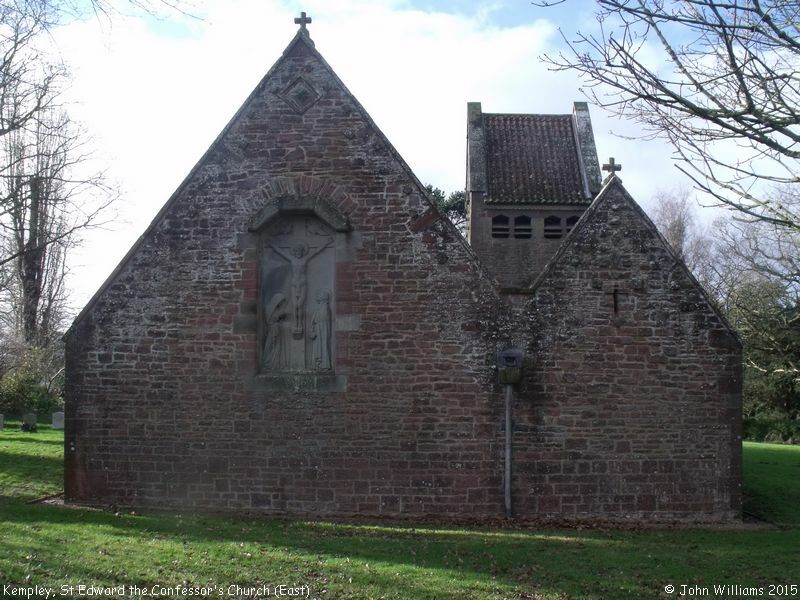 The church of Edward the Confessor - "built in 1902-3, at the cost of Earl Beauchamp, who also furnished the design, is of local stone, and consists of nave with north chapel, porch, vestry and a tower containing 2 bells". All the timber used in the construction is of oak grown within the parish. 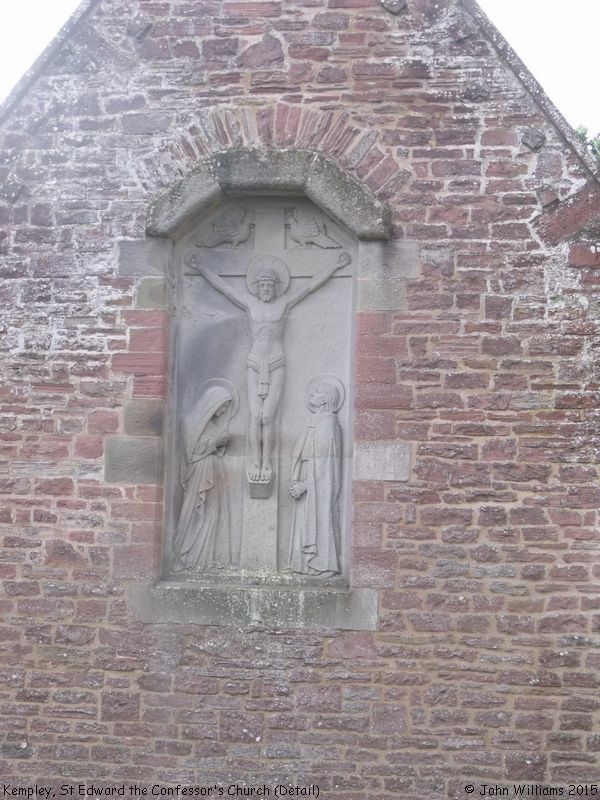 There is a rood beam, carved and painted with figures, and three carvings in stone, two on the exterior of the church and one in the porch. There are 160 sittings. 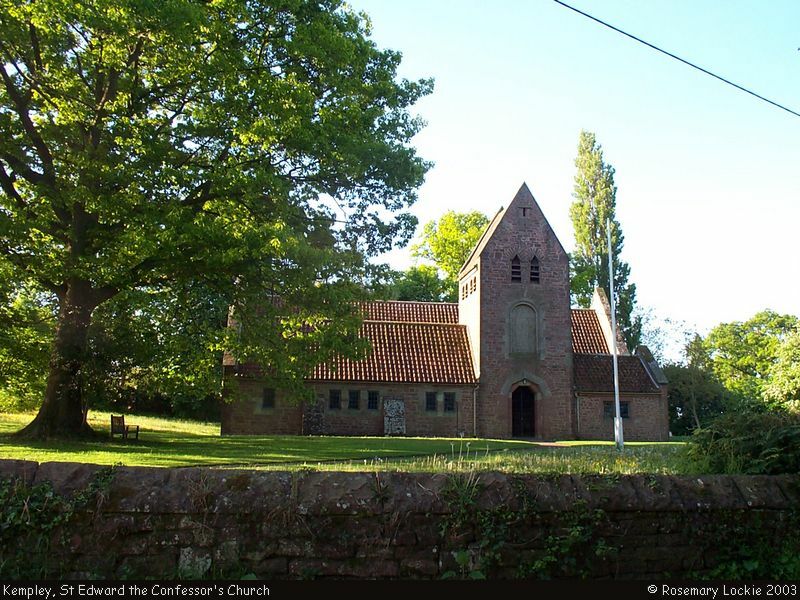 The parish records, which belonged to the original church of St Mary, begin in 1637. In 1923, the living had been held since 1921 by the Rev. Daniel Gethyn-Jones. Kelly also mentions the property named "Stonehouse" - "a mansion of the 16th century, and formerly the manor house, [which] was rebuilt in 1883, when nearly all the fine oak carving, exhibiting the crown and initials of James I. was removed by the 6th Earl Beauchamp, to Madresfield Court, Worcestershire; the only portion of the old house now remaining is the kitchen ceiling". In 1923, it was occupied by Mr. William Turner as a farmhouse. 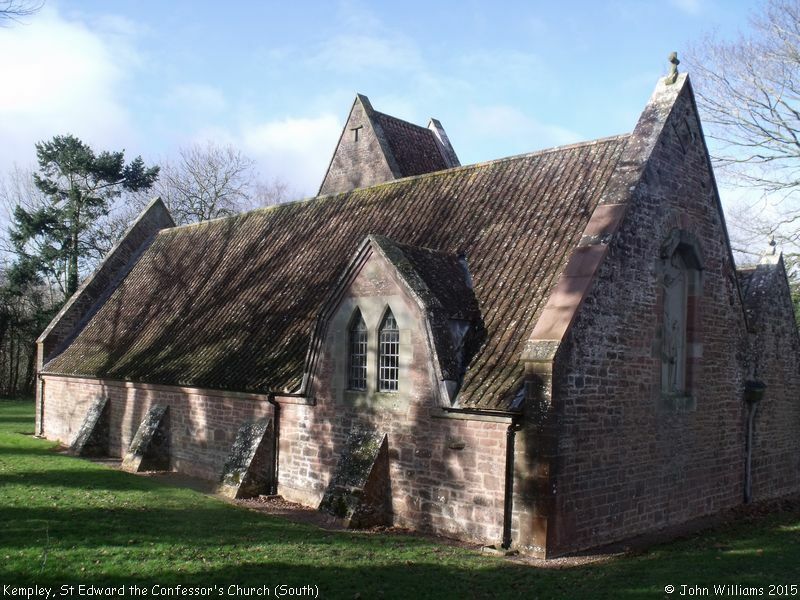 St Edward the Confessor's Church, Kempley shown on a Google Map. Places of Worship in Kempley shown on a Google Map. Information last updated on 17 Feb 2015 at 08:59. 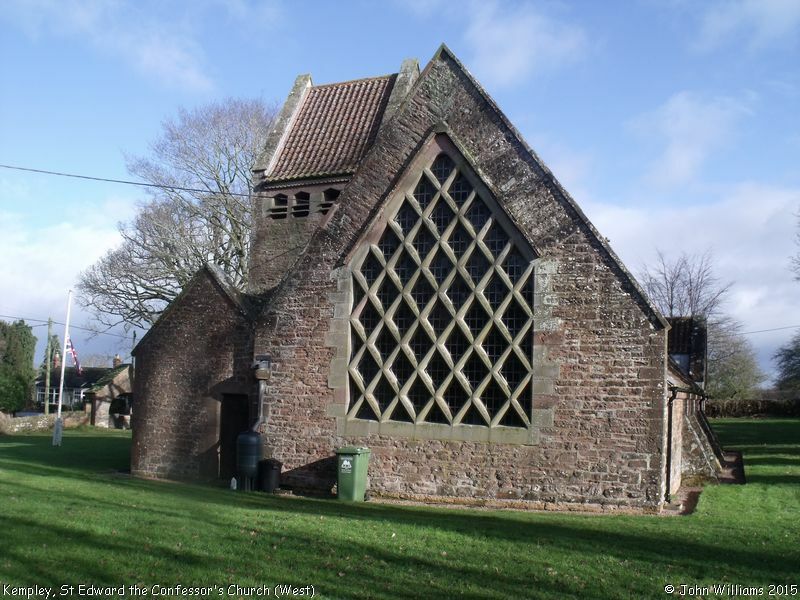 Please also remember that whilst the above account may suggest that St Edward the Confessor's Church remains open and accessible, this may not remain so. This Report was created 22 Apr 2019 - 11:39:26 BST from information held in the Gloucestershire section of the Places of Worship Database. This was last updated on 7 Feb 2019 at 07:45.